Visit the amazing Komodo Island by catamaran, and snorkel with giant mantra rays. This is a day tour that will create a lifetime of unbelievable memories. Aside from the Komodo Dragons, there is diverse wildlife within the park and we are likely to spot monkeys, deer, and possibly wild pigs and horses. From the top of the hills and cliffs, the scenery is spectacular – let your imagination run away with you as you dream of life on the islands and the relaxing afternoon ahead. To learn more about all our Flores Tours, please fill in our enquiry form at the bottom of this page. Imagine cruising through pristine waters, past lofty cliffs on lush green islands and stunning beaches, all the while dining on sumptuous food being prepared by your personal chef…. that is the Mischief experience. Mischief is our custom-made private yacht that offers luxury living while sailing around the islands. With 3 private ensuite guest cabins, indoor and outdoor living, sun loungers on all the decks, and our own hand-picked crew, Mischiefs offers luxury experience on the most beautiful crystal blue waters. And just for the most perfect memories that dreams are made of, you will get to experience a private dinner prepared by our personal chef on the beaches of the beautiful islands along the trip. Cycle 315 kilometres through bamboo forests, palm plantations and lush jungle on a journey in the shadows of volcanoes on paved and dirt roads. 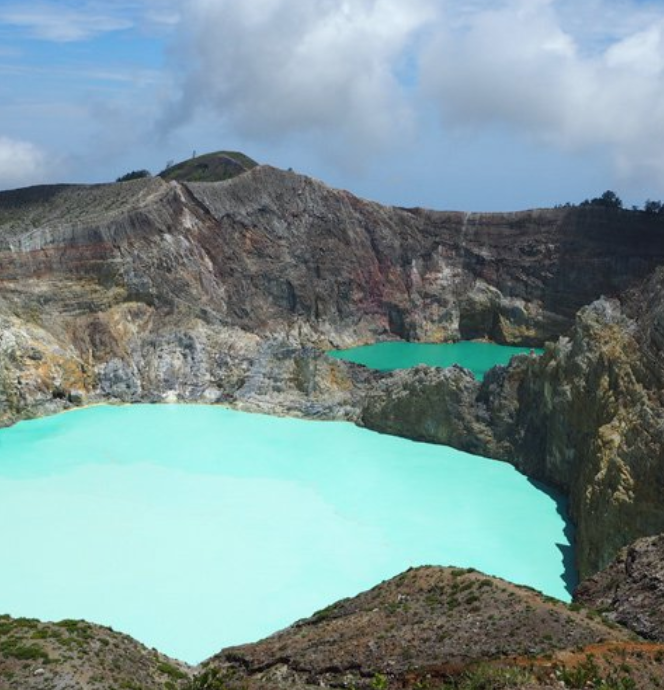 Visit Kelimutu Volcano with its three curiously coloured crater lakes. Soak in the Soa Hot Springs, before cycling west past sparkling coastlines and “spider web” rice paddies, through ancient tribal villages of Bena and Kenda, arriving at the gateway to Komodo.